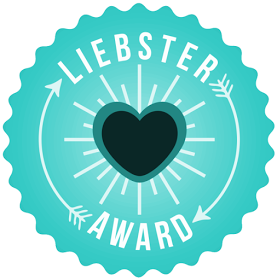 The gorgeous Beth from Sewing Soothes the Soul has nominated me for a Liebster Award! The award is a way for bloggers to share their love of blogs and bloggers and pass on the love - I am not actually going to nominate anyone though, anyone that feels like doing this please take it as my nomination! I follow 302 blogs on Bloglovin and just cannot pick - although I will say that Beth's picks are brilliant! So I have to give 11 random facts about me that I haven't shared on here before so here goes! I have travelled to 20 countries - I love travelling and holidays and would love to go travelling for a year again, best year EVER - but I would want to do it with my other half, its just the savings part that is the hard part! When travelling I try to eat as much local cuisine as possible, this has lead to eating dog, snake and alligator. I am DESPERATE to own a dog (not to eat as number 3) but as I work full time its really not fair - and my landlord said no - boo to him! I want a Basset Hound, or just any big dog! I am the person that makes a bee line for dogs in the pub or on the tube. I do not want to have children. I am nearly 31 and the urge for motherhood has never appeared so I cannot see it appearing in the future! So when I am old I will be the weird woman with lots of dogs begging her nieces and nephews to visit! I carry a genetic disease called Fragile X Syndrome, my cousin has learning difficulties as a result of this and my grandad suffers from the premutation issues that develop due to it - mainly shaking hands, which is getting worse with age, it is a real issue for him and has to drink out of a lidded cup and eat with a spoon - serving him peas is just cruel! I cannot go to sleep in silence. I listen to a podcast in one earphone normally but if Richard is away (or I sleep on the sofa, which is becoming a regular occurrence due to mice in my bedroom!I hate mice) I sleep with a DVD on the TV. Normally Friends! I have not told any friends or family about this blog, I write it for myself not to please others so I don't want to become self concious over it! I have been incredibly lucky to get to 26 with 5 grandparents alive, sadly my Great Grandma died 4 years ago at a brilliant age of 94 and I lost my Grandma 2 years ago, a loss that I still struggle with. She was responsible for giving me my sewing machine and I wish I could show her how much I love it. BUT I have 3 grandparents still left and at nearly 31 I understand just how lucky I am. I currently live in London, I am from Leeds, I lived in Newcastle for my Undergrad and lived in Sheffield for 2 years while studying my Masters. I would love to live abroad, somewhere with a totally different culture. This was a lot harder than I thought but it did waste quite a lot of Monday morning! Thanks Beth! Enjoy your week folks, I should have some unselfish sewing to show you by the end of the week! I am making some headway into the 13 presents...YES!